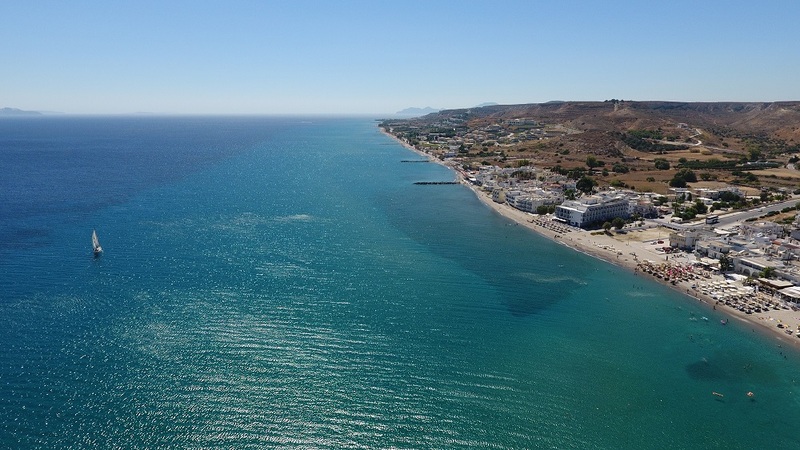 Kardamena is a tourist resort 29 kilometers from Kos town. 1It is built where the ancient city of Alasarna, an important ritual center used to be. The archaeological excavations brought to light ruins from a sacred dedicated to Apollo and Hercules, some Roman constructions and the ruins of a Christian basilica dedicated to Agia Theotita (Saint Divinity). The houses and other buildings have been built along the beach and the small port where ferries make daily trips to the island of Nisyros. Kardamena’s long sandy beach is ideal for swimming, sunbathing and water sports. The village has many fish-house & traditional taverns and restaurants with Greek and European cuisine. The nightlife is rich with a lot of bars and clubs. “Alasarnia” festival takes place, every summer in Kardamena with many cultural events, theatrical shows, concerts, art exhibitions, traditional dances, etc.). In Kardamena there are also many festivities on the 29th of August when they honor Agio Ioanni (St. John) and on the 8th of September when they honor Birth of the Virgin Mary.